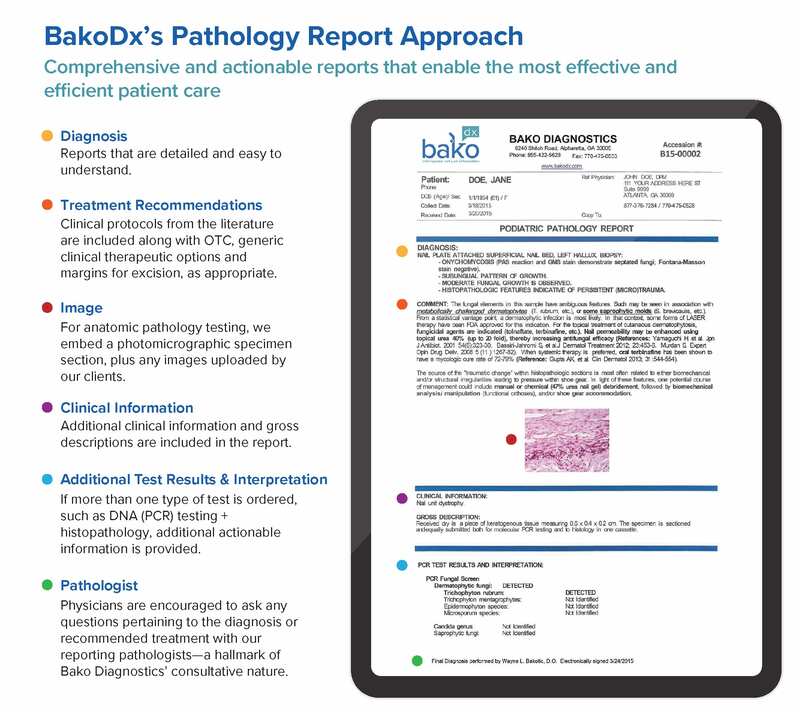 Bako’s reporting methodology provides more than basic information. It offers treatment recommendations—what we call “intelligence”—that empower the treating physician with actionable information. We believe this leads to better, more timely and cost effective health care for your patients. Our pathology team provides not just information, but also intelligence to enable better patient care. 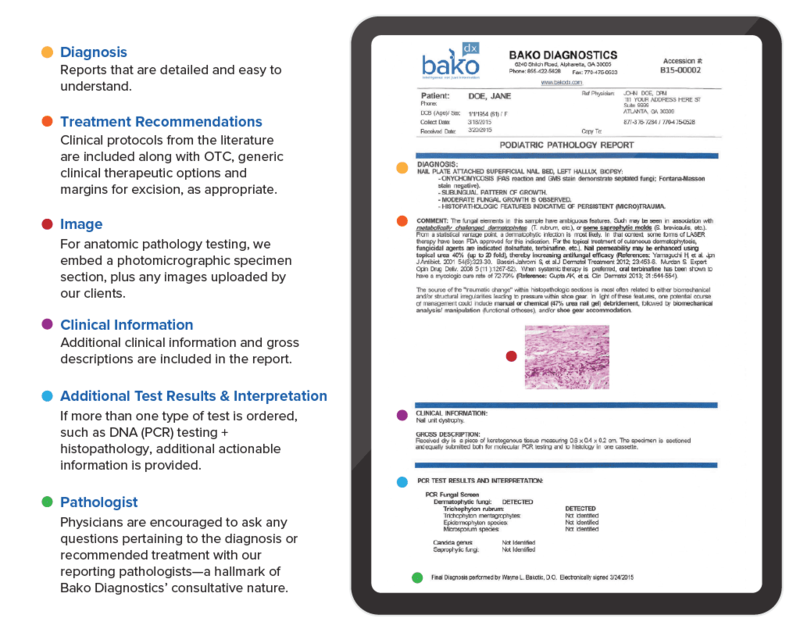 BAKO’s intelligence reporting provides physicians with a comprehensive explanation of the patient’s condition, background on the disease, as well as published literary references, as warranted, to guide physicians to follow evidence based medicine and national treatment guidelines. 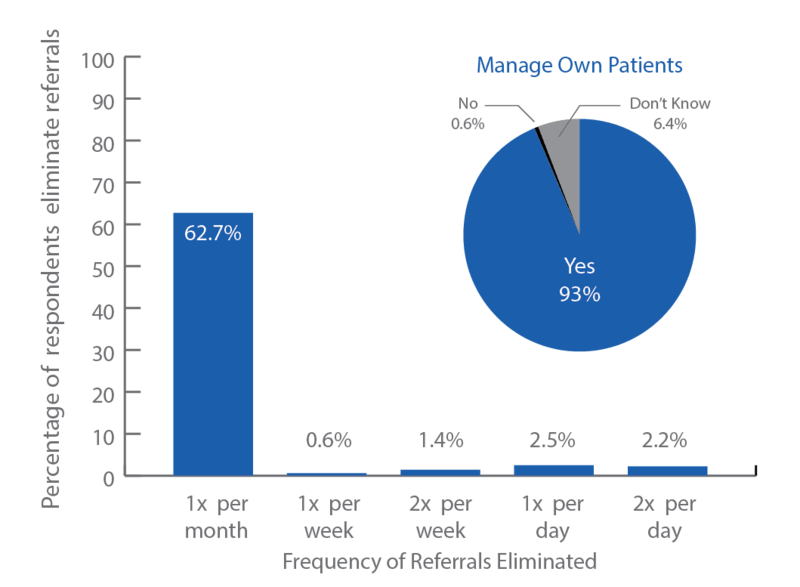 The result is a “one-stop-shop” for physicians, saving valuable time and healthcare resources while ensuring patients receive proper diagnosis and treatment without a specialist referral. 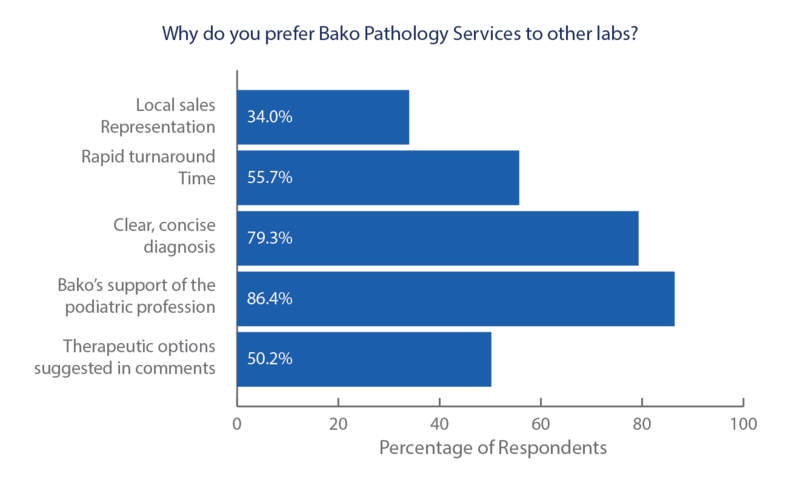 Does Bako Pathology Services style of reporting empower you to manage your own patients rather than refer out to a dermatologist? If Yes, how often? 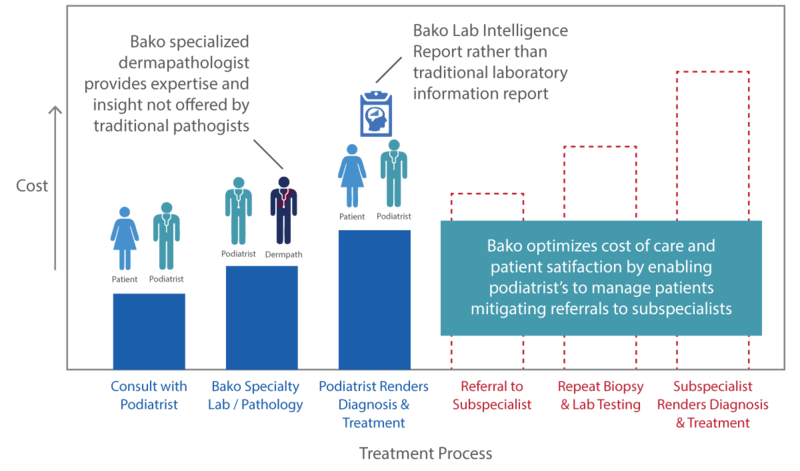 At Bako, We take pride in our role as an industry leader in Podiatric diagnoses and disease management and are committed to providing education and support to our healthcare partners, including professional case managers. We have developed two on-site CE programs and would welcome the opportunity to present either or both sessions to you and your staff at your location at no charge. Each has been approved by CCMC for one credit hour. This session will provide an overview of dermatological conditions of the lower extremity and how appropriate diagnostic testing can improve patient case management, guide clinicians in making successful treatment decisions, and reduce sub-specialty utilization. This session will provide an overview on how to predict and characterize Peripheral Neuropathy and how appropriate testing can be both a confirmation tool and a prospective/predictive diagnostic tool used as a baseline against which to monitor therapy.